Meira Pentermann's Firefly Beach caught my attention for three reasons: the title was captivating, the setting peaceful and the mystery promised in the synopsis, intriguing. I must admit to being alarmed when first introduced to the firefly, afraid Firefly Beach might turn out to be an horrific story. I had almost set it aside but something urged me to continue reading. Soon afterward, I realized the firefly was trying to get Beth's attention; after she began to pay attention, the journey it led her on was one of intrigue, discovery and, ultimately, healing. It was refreshing to see Beth's long held dream of painting for a living get off to a terrific start. However, the tone of her paintings changed the more she interacted with the firefly and, especially, after she found a diary of a girl who had gone missing over 30 years earlier. Sometimes when reading late at night, I'd feel shivers creep up my spine, much the same as if I was entering into territory I wasn't sure would be comfortable. I, too, wanted to know what happened to the missing girl so Beth's mission of trying to find the answers became my own. Beth and I crossed paths with a few people, some likable and some not. Our journey would eventually take us to meet a couple who lived out of town, a couple who shared a story neither of us expected to hear. The last half of the book had more twists and turns, but the first half set a good foundation. Personally, I feel Firefly Beach wouldn't have been the same had such a foundation not been laid; it established the characters and setting so well. 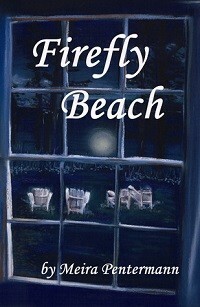 I am amazed at the number of reviews Firefly Beach has received, but the book is worthy of the attention. I'd highly recommend it to readers who enjoy mystery and want an escape from their daily lives. You can learn more about the book and read some of the reviews at Amazon. You would never find time to read all of them.